Twins Chiropractic and Physical Medicine is fortunate to have some of the top massage therapists in Orange County as part of their staff. Each one has been handpicked and has a minimum of a decade’s worth of professional experience to help you in optimizing your health. How Can Placentia Massage Therapy Help? Chiropractors are masters of the skeletal system, which is ultimately affected by the muscular system. Together, these systems greatly influence the nervous system, the master controller of the body. Chiropractors adjust “stuck” joints that attach to muscles, which in turn relaxes the muscle. However, the muscle will often eventually start to contract again. This is where massage therapy can really make a difference: it helps the tight muscle to lengthen and reshapes the muscle fibers. This helps the patient to heal more quickly and reduces pain faster! 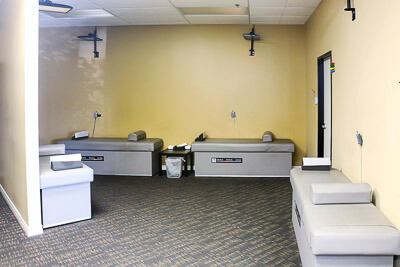 If you’re new to our practice, we’d like to offer you a full 50-minute massage for only $50.00. This is our way of welcoming you, and a way for you to experience the full benefit of professional massage therapy. Massage price drops to $50 if you pay for an adjustment same day. Not including any coupons such as Groupon, Living Social, etc. There will be a $20 charge if appointments are cancelled within 24 hours of appointment.